Woolly mountain daisy Celmisia incana, copyright Nuytsia@Tas. 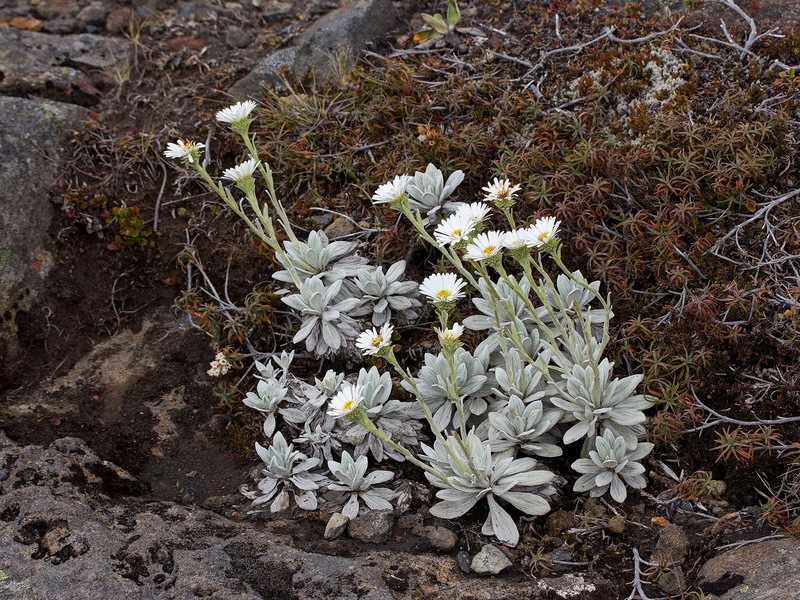 The subsection Rosulatae of the genus Celmisia is a group of New Zealand mountain daisies that grow as subshrubs with leaves concentrated in clusters at the tips of the branches (Allan 1961). Characters (from Allan 1961): Subshrubs with hard woody stems and branches; leaves imbricate along branches, living leaves concentrated in rosulate clusters at tips of branches, sheaths long-persistent; disk-florets yellow.